At an event site or your home, from dinner-for-2 to a corporate extravaganza for 2,000 – we've done it and made many people happy. 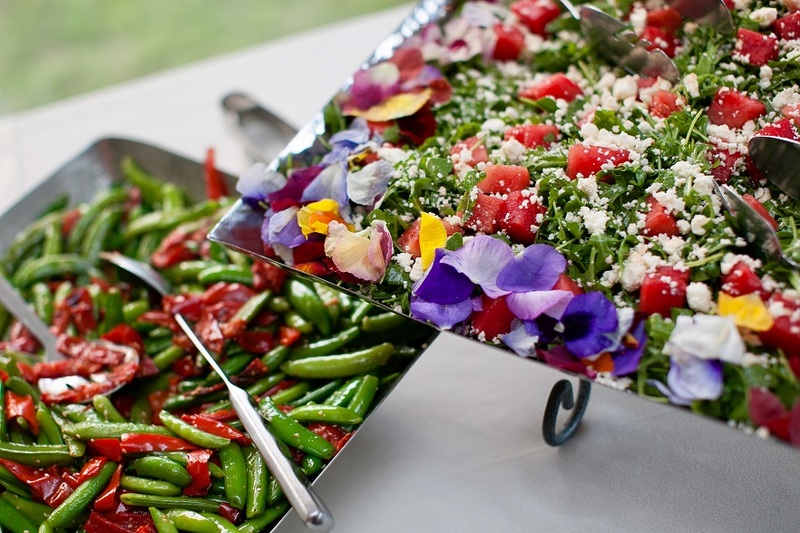 We understand that the art of catering encompasses professional management, careful planning, and considerate service. We'll work closely with you to provide the highest-quality, most enjoyable event. We can organize rental and refer you to the best tent suppliers, florists, photographers, and entertainers. If you have a coordinator – wonderful, we'd love to work together. Over the past 30 years, we have catered thousands of events. We're here for you – what do you want? We have a wide culinary palate and can handle many types of event, but what really matters is what you want. Look at our sample menus below and contact us.We'll listen and help you create the event that meets your dreams and your budget.